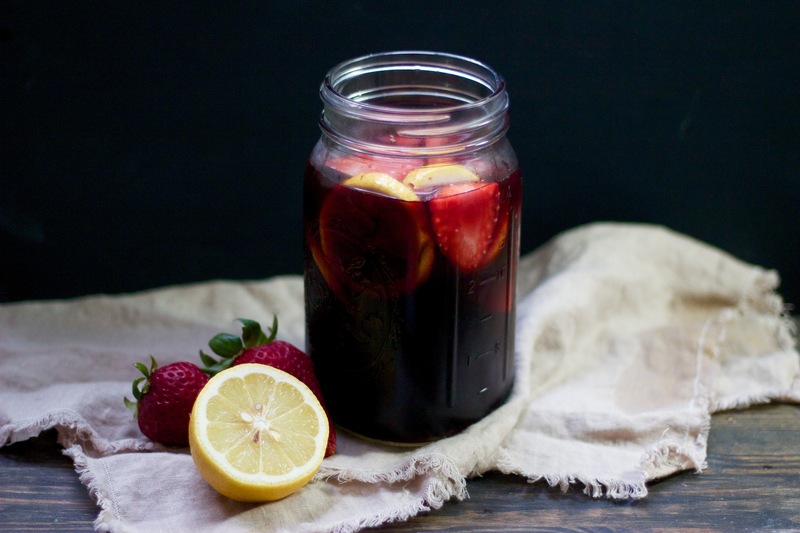 Sangria is one of those drinks which makes you feel like you’re on a summer vacation. You can use pretty much any fruit you like but, to me, strawberries add an extra summery feeling to the drink. 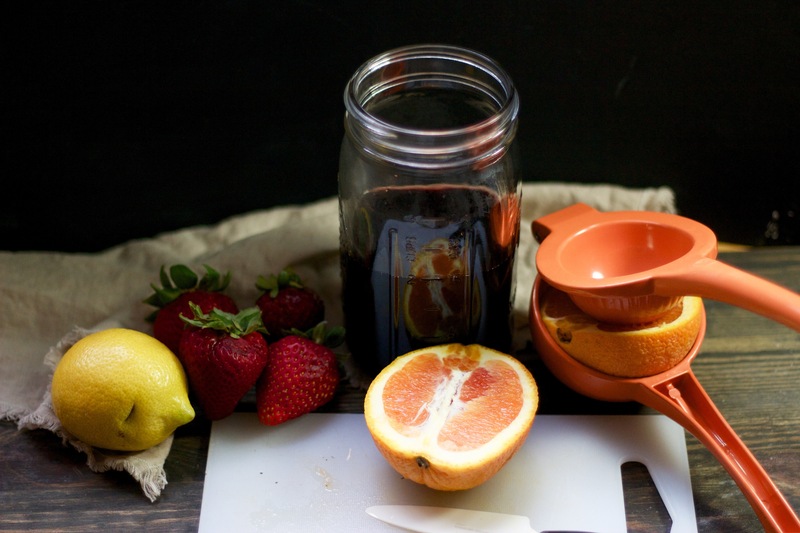 Mix the wine and the cointreau and then add the juice from the orange. 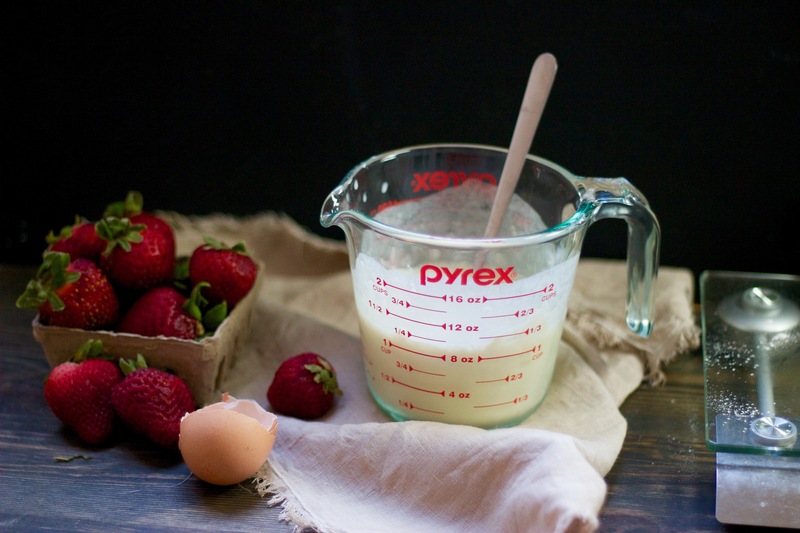 Slice the lemon and the strawberries and add them to the mix. 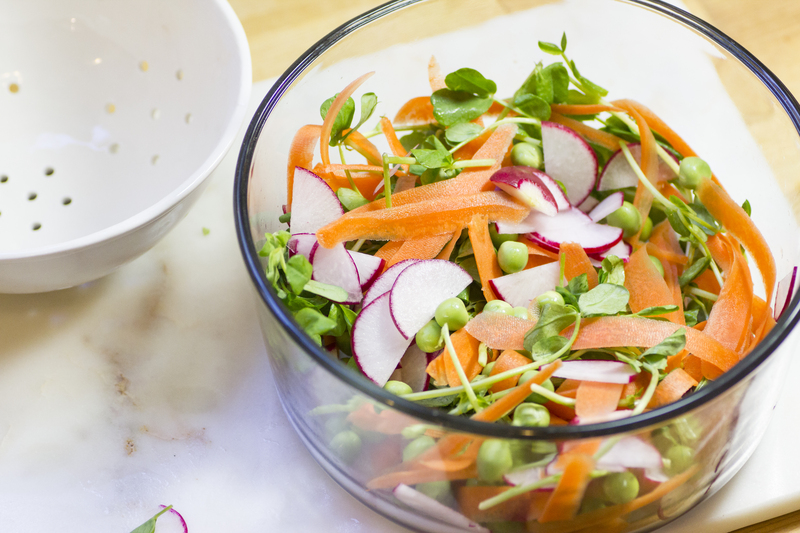 Allow the flavors to infuse in the fridge for about half an hour before serving. If you need to keep it cold for a while, freeze the sliced strawberries overnight before making the sangria, and use them instead of ice. The first few days into June I realized I’d made a mistake in choosing corn for the #monthlyveg. I just wasn’t inspired to cook with corn and I was subconsciously avoiding looking up recipes and finding excuses to put off making it part of tonight’s dinner. 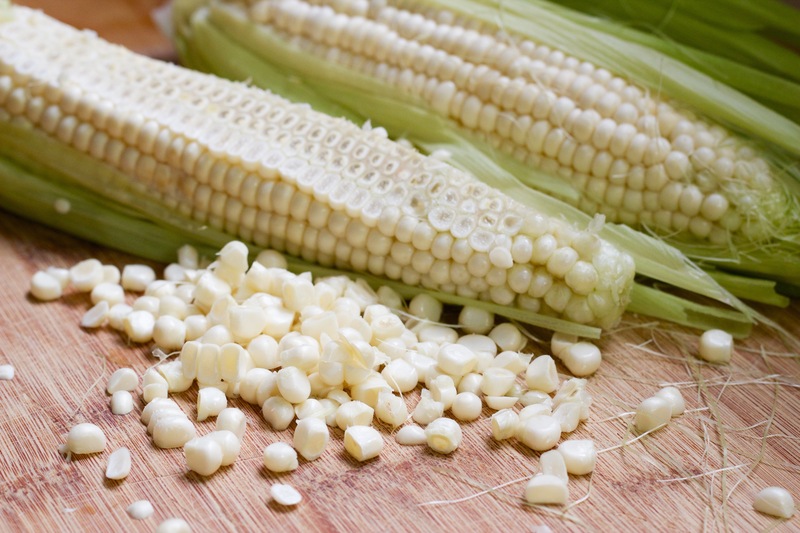 Nevertheless, corn has been chosen, and the whole point of this is to push me outside of my comfort zone when it comes to cooking, so I sat down last week and made myself look through some recipes. Although most that I came across didn’t appeal to me (Southern American cuisine is far from my favorite and Mexican leans toward too spicy) I did get a few ideas. 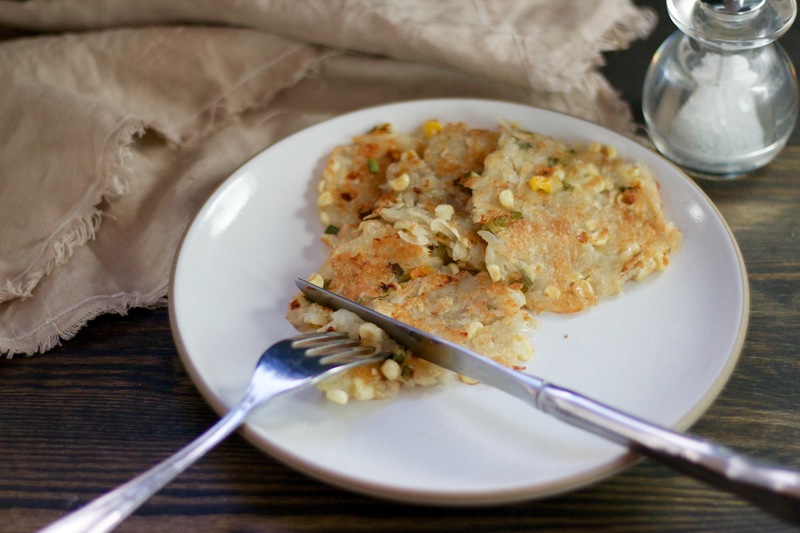 One was this cheesy corn hashbrown idea which I was actually inspired to go and cook straight away for lunch! 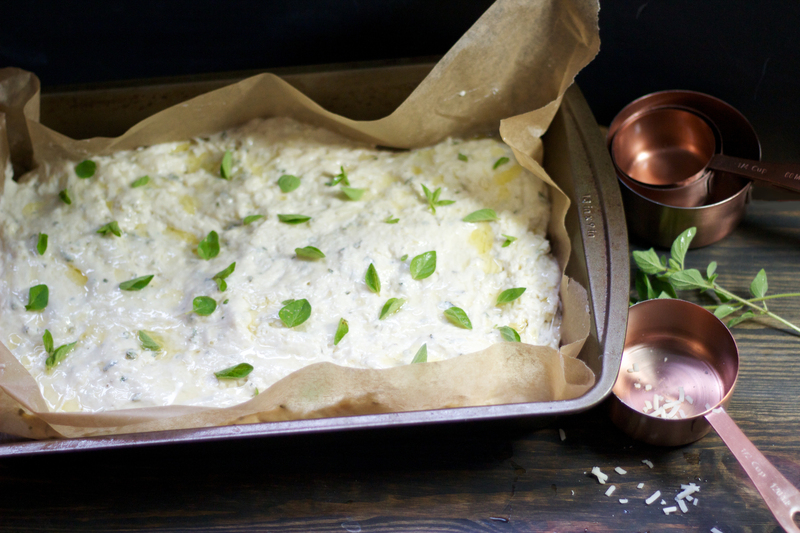 Cheese is the perfect accompaniment to corn (and most things!) and these turned out super tasty and I ended up eating the entire batch in one go. Peel and grate the potato then squeeze out as much liquid as possible between two towels. 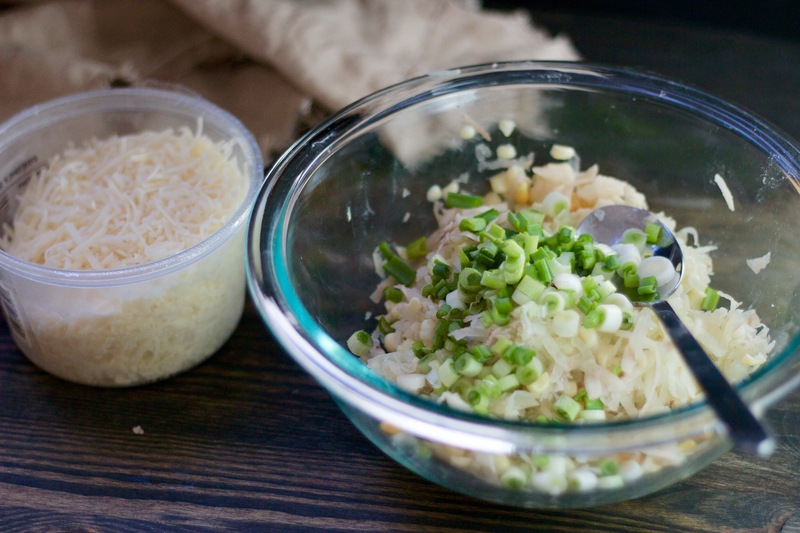 Finely chop the spring onions and mix everything together with a pinch of salt. 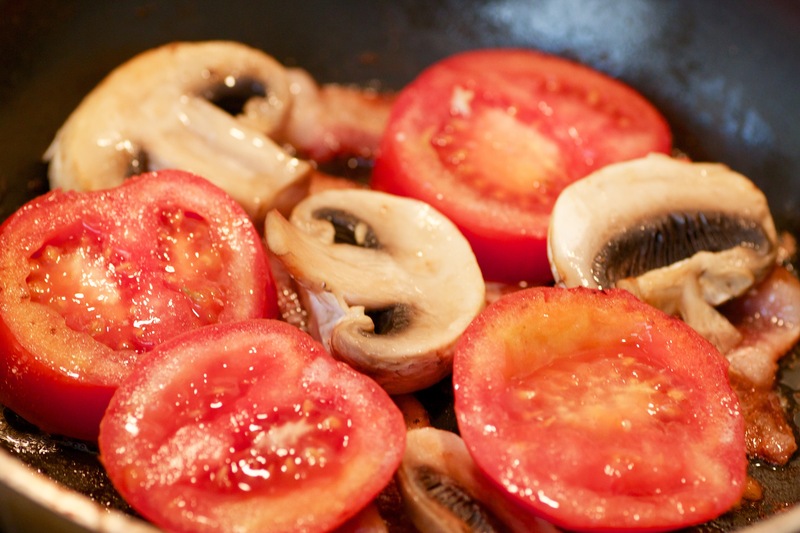 Heat some oil or butter (or better yet, bacon fat) in a frying pan to a medium high heat. 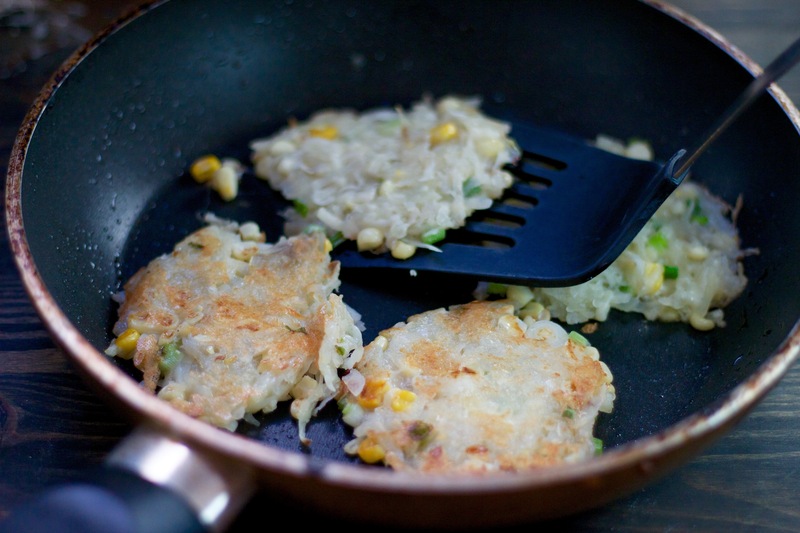 Spoon the mixture into the pan and squash into rough patties, no thicker than 1 grain of corn. Fry until brown on both sides, about 5 minutes each side. If you find they don’t want to hold together, increase the ratio of potato to corn. Strawberries & cream is a quintessential British, summertime dessert and it doesn’t really need anything adding to it. However, sometimes it’s nice to serve something that looks like you put in a bit more effort. This crepe cake certainly does that, while maintaining the simple freshness of flavor. It would work with other fruits too, why not make a peach version for peaches & cream day (and fathers’ day) tomorrow. Mix up the batter and cook the crepes. 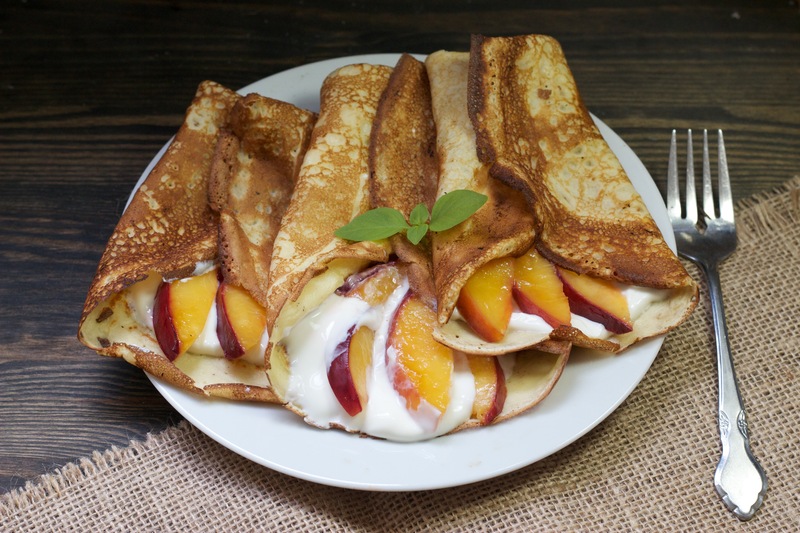 (See my nectarine crepes recipe if you need more detailed instructions.) 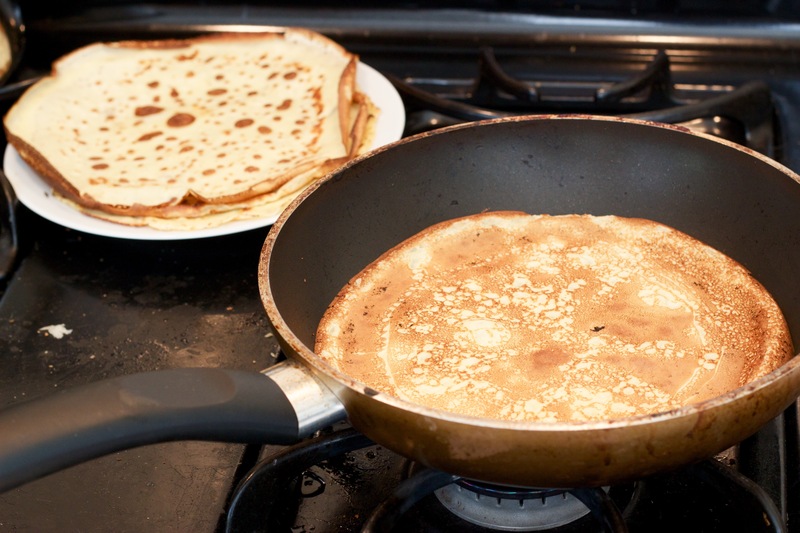 A simple round cookie cutter in the frying pan will allow you to make mini crepes easily. 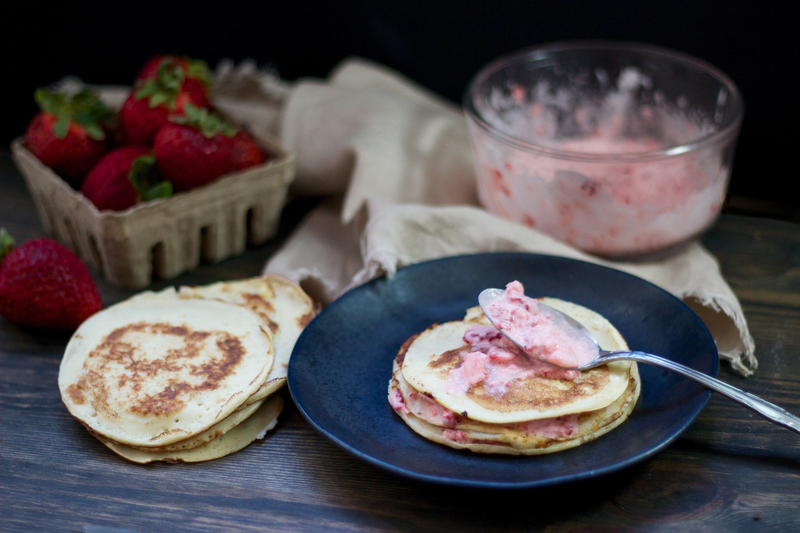 Leave the pancakes to cool in the fridge while you mix up the filling. 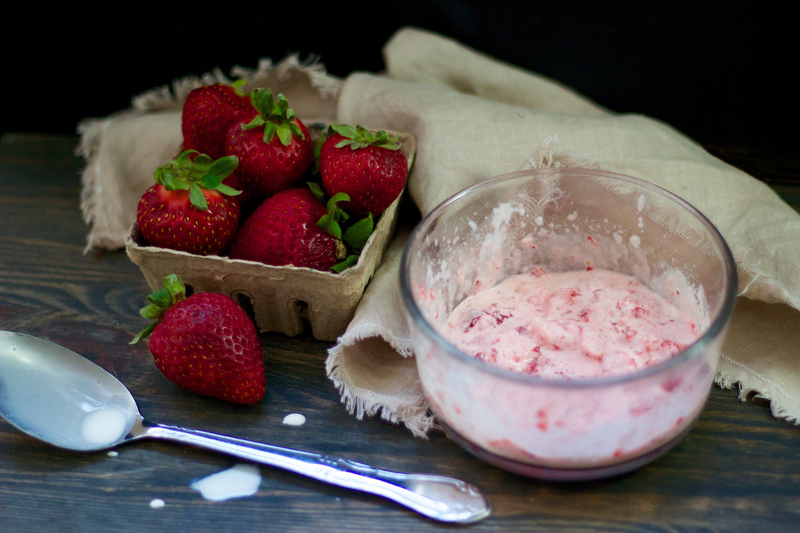 Blend the strawberries with the cream using a blender or food processor until you get a smooth, pink paste. 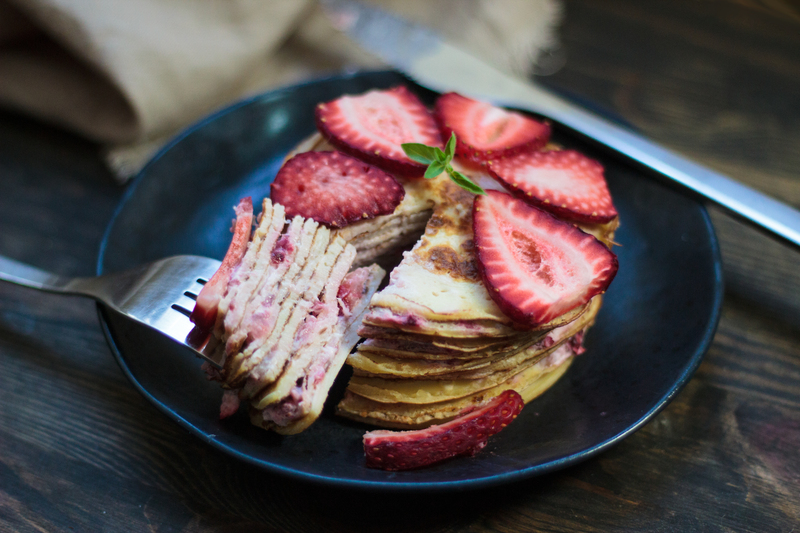 Layer up the crepe cake, spreading a small about of strawberry cream between each pancake. 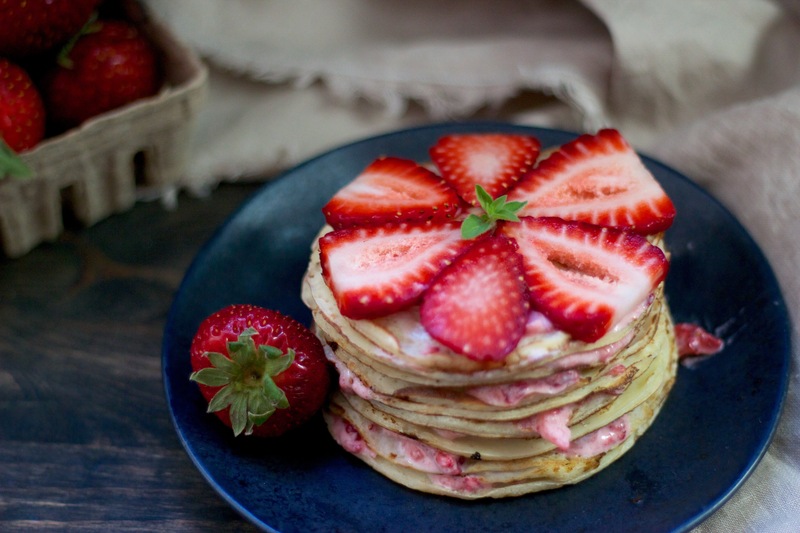 Finish with some sliced strawberries. Best served straight away but you can keep it in the fridge in an airtight container to stop it drying out. For a breakfast version just use yogurt instead of cream. I’ve been wanting to try making frozen yogurt for a while but I don’t have an ice cream maker so I always avoided it. The other day I decided it was finally time to take the plunge. If it didn’t work then it didn’t work, at least I’d tried. I was inspired by the orange cardamom yogurt topping I mixed up because it was so deliciously dessert-like and the cardamom added this perfect touch of adultness to what was, effectively, a Creamsicle. I blended it all in a food processor and then stuck in the freezer, blending it again every hour for about 5 hours until it was the right consistency. And it worked! Turned out with exactly the right texture and tasted delicious, even without any added sugar. 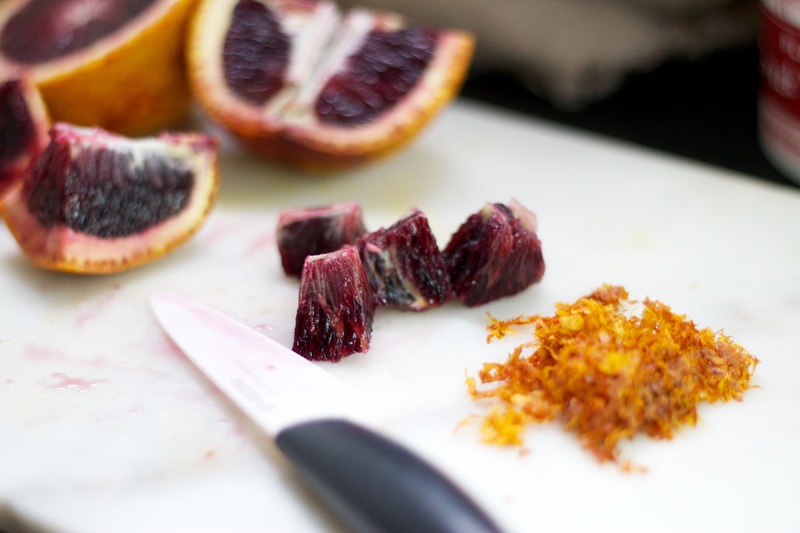 Take the zest and the flesh from the orange and blend everything up together in a food processor. 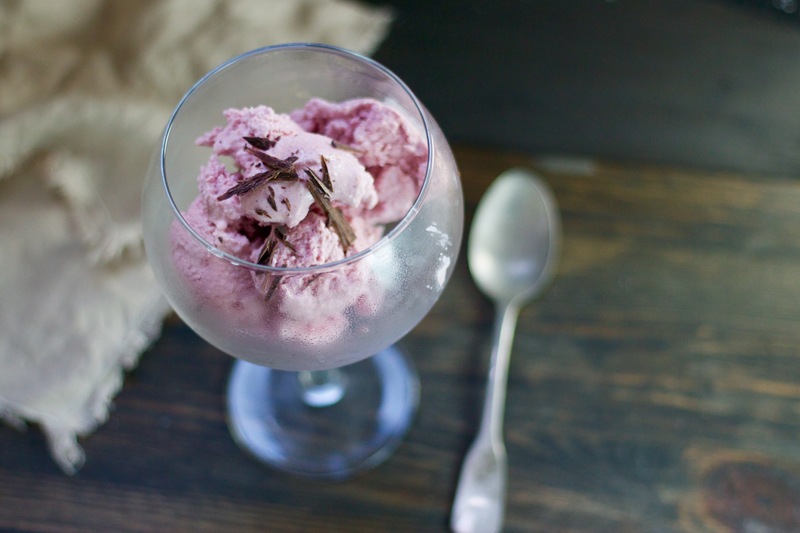 If you have an ice cream maker transfer it over and let it work its magic. Otherwise, put the food processor bowl into the freezer and leave it for an hour. After an hour, blend it all again, making sure to scrape all the mixture off the sides so it gets thoroughly mixed again. Return it to the freezer for another hour and repeat. 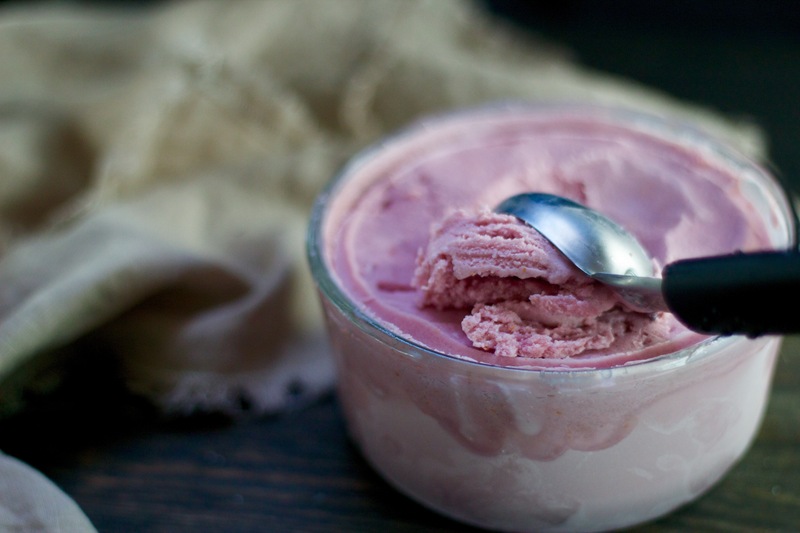 It depends how cold your freezer is but after a few hours you should find the yogurt has frozen into the right texture. At this point you can transfer it to a suitable bowl with a lid for storage. Or just eat it all right then! Even with a good, sweet orange, the end result will be quite sour. If you like, you can add a few spoons of sugar or honey to the mixture (before you start the freezing process) to sweeten it up. 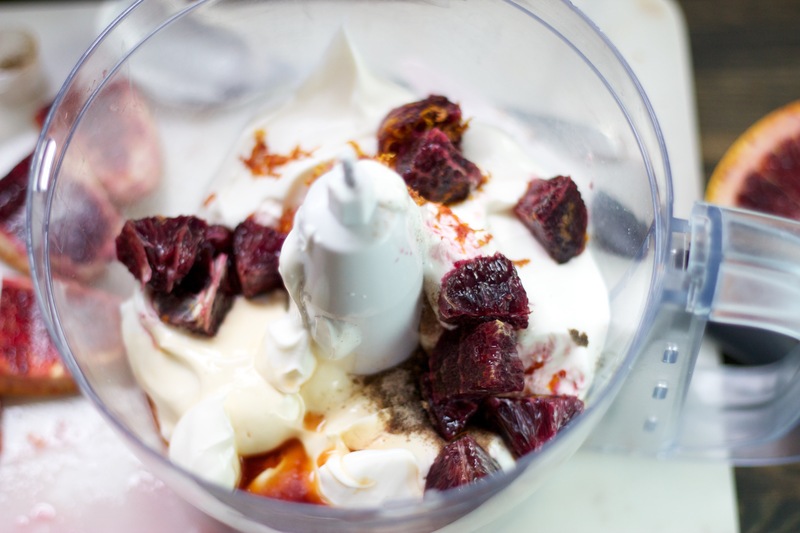 Taste the mixture after you first blend it to work out how much you want to add. A full English breakfast (eggs, bacon, sausages, baked beans, fried tomatoes, fried mushrooms and toast or fried bread) is one of my favorite meals. Pretty much anything with fried, soft-boiled or poached eggs in is one of my favorite meals but an English breakfast is delicious for so many other reasons too! I’ve been trying to think up ways to eat more vegetables for breakfast and the English breakfast seemed like a good place to start. I mean, it contains two where most breakfasts contain none! I was also sure there must be a way to simplify an English breakfast to make it much quicker and simpler to prepare. Once I stopped trying to include the eggs it all fell into place. This version just uses the bacon, mushrooms and tomatoes but they’re cooked all together so the flavors really combine well. It also only takes about 15 minutes to cook. Heat up a large frying pan over a medium-high heat and then lay the bacon out across the bottom. Cook the bacon for about 10 minutes without turning it over until it’s crispy on one side. 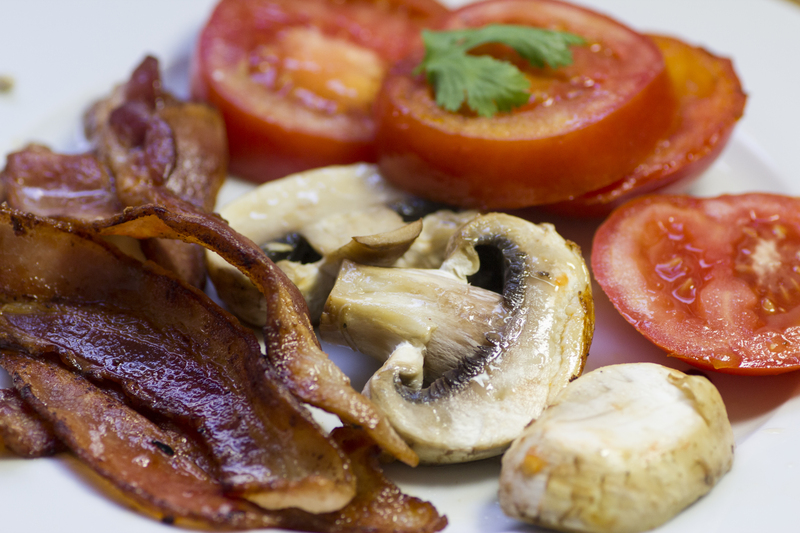 While the bacon is cooking, slice the mushroom and tomato into pieces about 1/4″ thick. 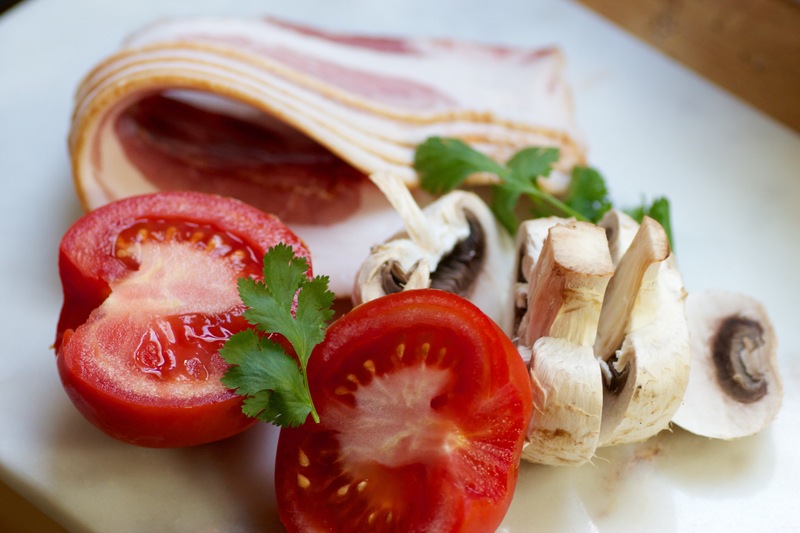 Once the bacon has cooked on the bottom, drain any fat, turn each slice over and then lay the tomato and mushroom over the bacon in a single layer. 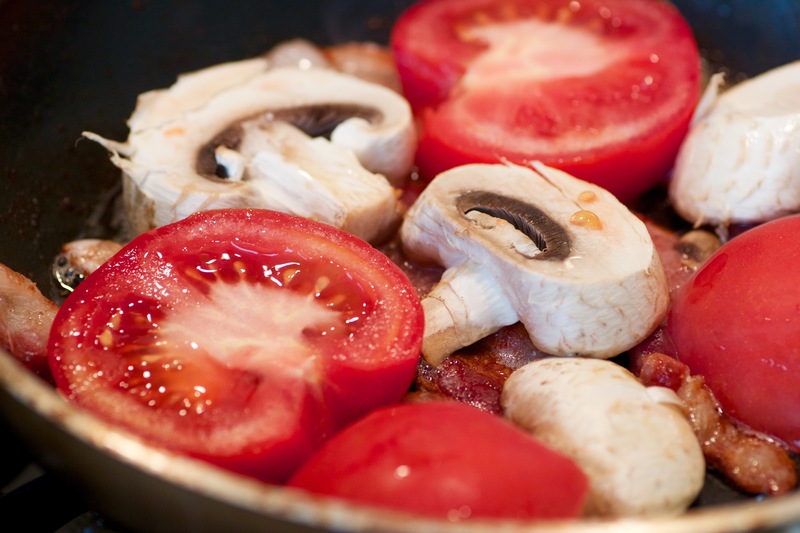 Cook for about 3 more minutes then turn the mushroom and tomato over and cook for another 3 minutes and serve! You may remember a while ago I put together a short recipe book for naturally sugar-free desserts. I really enjoyed working on it but after I’d finished it I just left it be and moved on to other things. Over the past few months I’ve had a lot of fun experimenting will all kinds of different recipes but I’ve slowly come to realize that desserts really are my passion and my specialty. Unfortunately, reconciling that with my determination to lead a healthy lifestyle and eat a very low-sugar diet (not counting whole fruit) is not easy. So, I’ve been re-inspired to work on my sugar-free desserts cookbook, and this time to experiment and test until I have a lot more recipes. 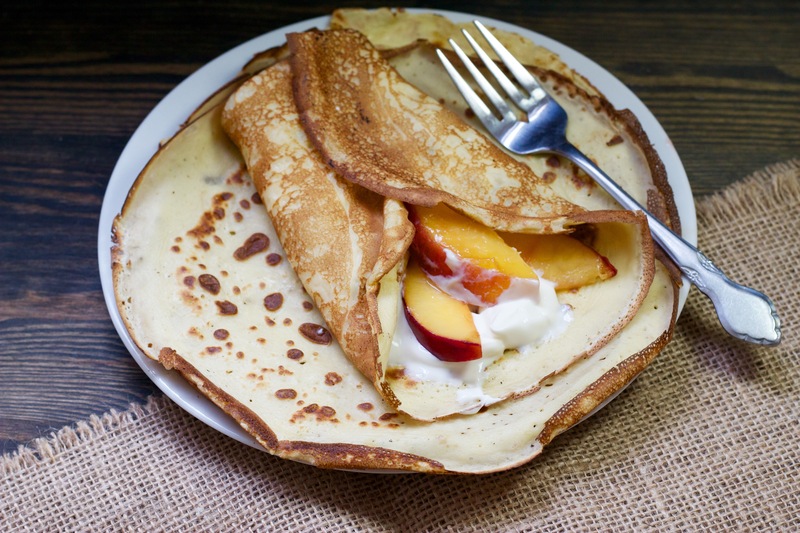 The first of my new recipes is this super simple nectarine-filled crepe. 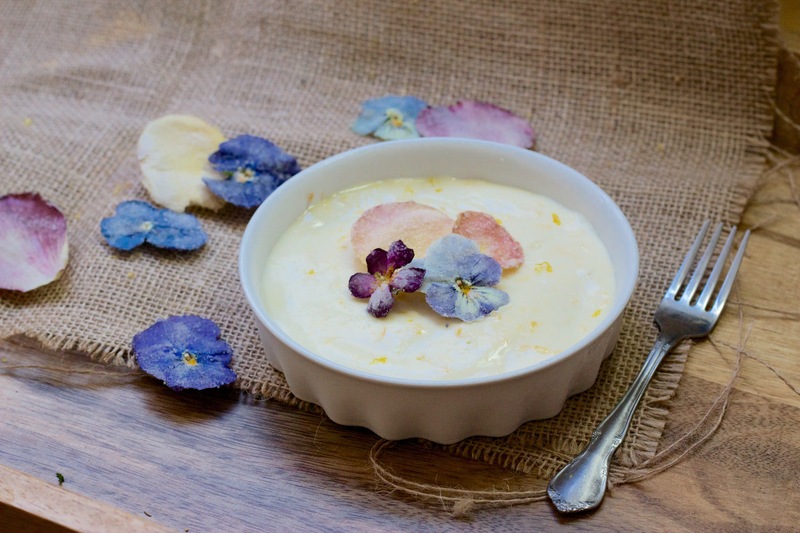 With mascarpone it makes a delicious dessert, with yogurt it makes a healthy, balanced breakfast. 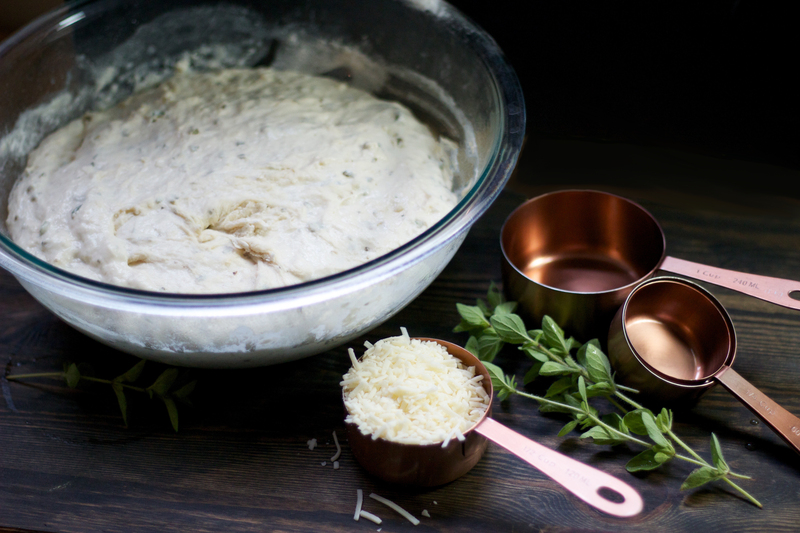 Mix up the batter and heat a small non-stick frying pan to a medium-high heat. I like to mix my batter straight into a jug so I can pour it directly from there into the pan with no messing around with ladles. When the lumps have been mixed out and the pan is hot, add a small knob of butter and pour in your first batch of batter. Flip the pancake when it’s browned on the underside and cook until brown on both sides. Transfer it to a plate and cook the remaining crepes. 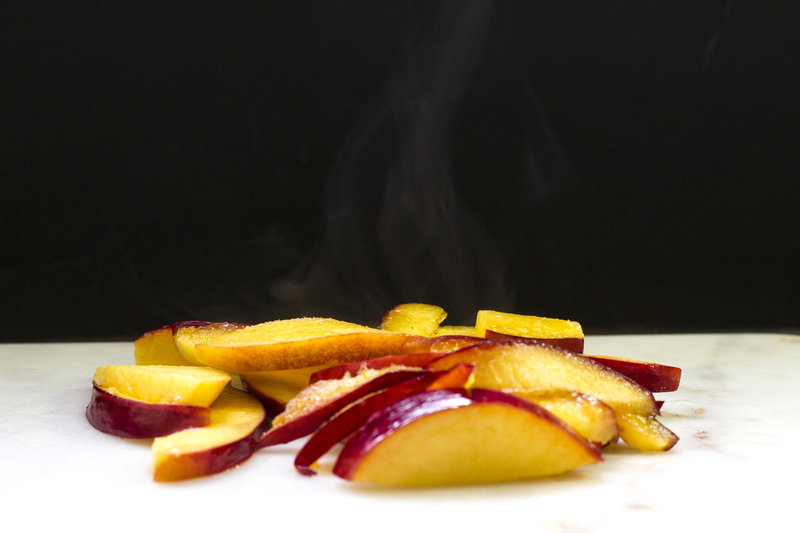 Slice a nectarine (or pretty much any sweet fruit, berries would be nice too) into pieces about 1/3 of an inch thick. Turn the heat down to medium and add about a teaspoon of butter. Put the nectarine slices into the pan and lightly fry them until they start to show a little brown on each side and they’ve softened a little. 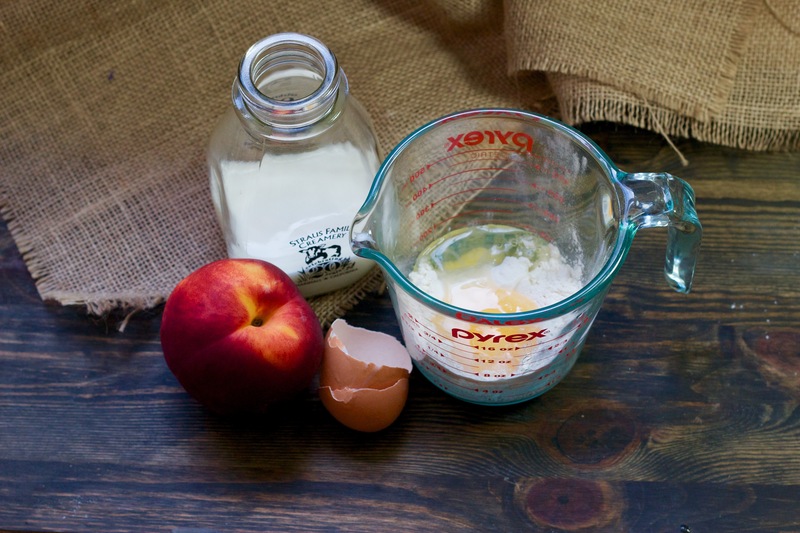 Spread 1-2 tablespoons of yogurt or mascarpone onto a pancake and then spread a few slices of nectarine on top. 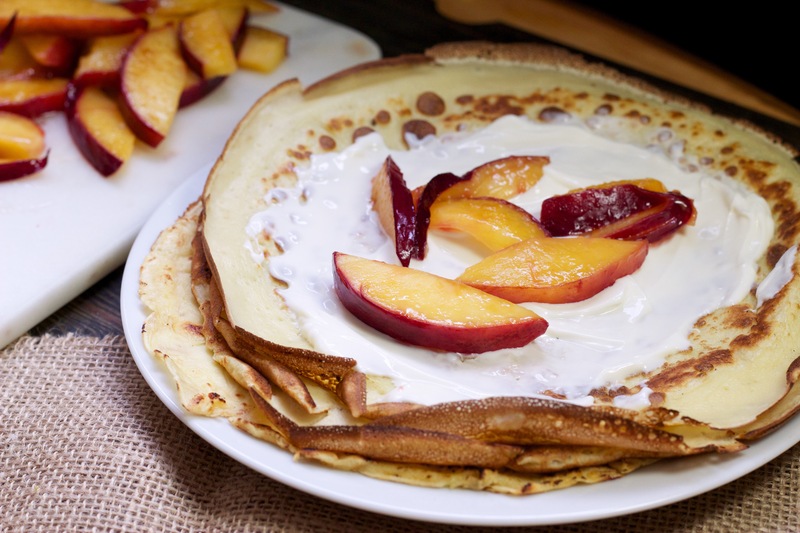 Fold it up and then repeat with the other crepes and the rest of the nectarines. Serve immediately. My first real bread experiment went pretty well so I was excited to try again, but it’s a pretty time-consuming process so I had to wait for the right day. 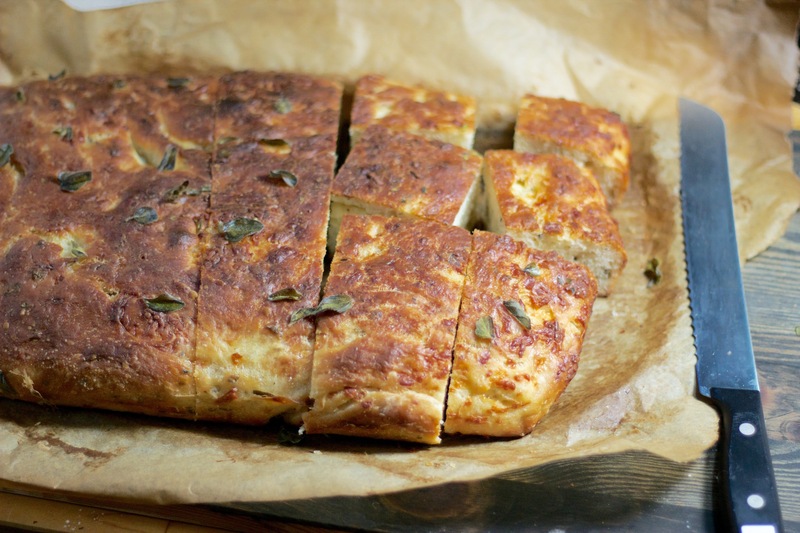 I’ve been wondering how to use up all my oregano since my little plant exploded this spring and I came across this recipe for oregano and asiago focaccia. It sounded yummy so I decided to try it out. The timing works out nicely, too, because today is herbs and spices day! 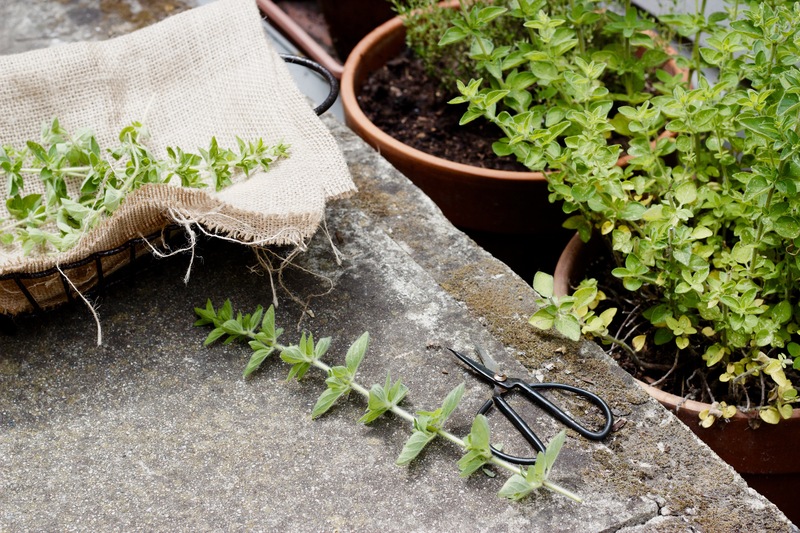 I started by giving the oregano a haircut. I cut off a little more than twice what I ended up using in the bread because I wanted to cut the whole thing back to stop the middle from dying out. The rest is sat in a glass of water on my kitchen windowsill while I work out what to do with it. Call me lazy (I am) but I didn’t like the sound of using 2 different bowls for no apparent reason so I just greased one large bowl and did my mixing straight in that. I didn’t have quick-rise yeast but I just mixed my active-dry yeast with the warm water and half the sugar and allowed it to sit for a few minutes until it started to froth. Then I mixed everything together as instructed. Stirring in the cheese was probably the hardest part because the dough was, by then, one sticky lump that all moved together. I found what worked best was to sprinkle the asiago on any cheese-less areas I spotted as I mixed. I also used a bit extra cheese because… cheese! The rest was plain sailing. I did leave it in the oven a bit too long, because I didn’t hear the timer go off, but I don’t think it was more than a couple of minutes. The top was maybe a bit browner and a bit chewier than it should have been but it didn’t really matter, the bread is delicious and I need to find time to make it weekly! 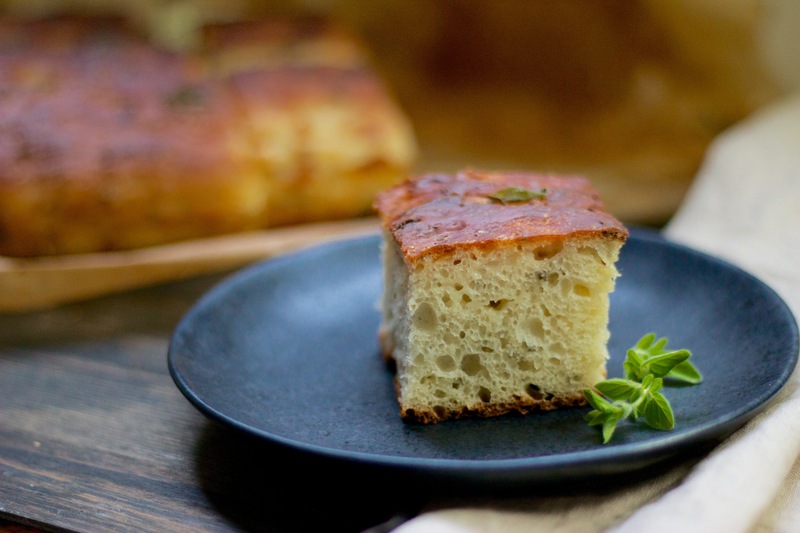 I know, I know, bread is carbs but at least this bread has some protein and fat in it, and even some green! I’m on a roll with the sweet stuff and I just can’t seem to stop myself! This lemon tart is a childhood favorite of mine that my mum used to make if we had guests. I stole the recipe from her when I moved out and have been making it for special occasions ever since. Today is actually my mum’s birthday, although I won’t be seeing her until October because we live on different continents. It’s actually a super simple and easy recipe. 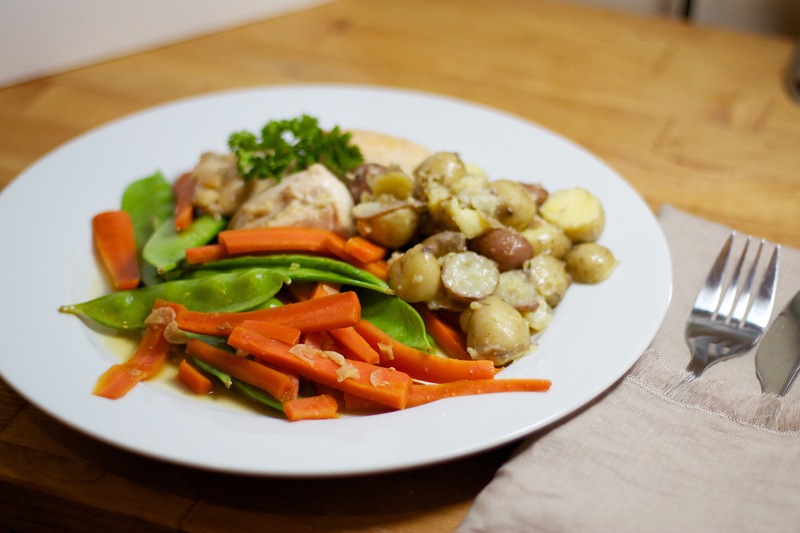 Although it takes several hours to prepare, most of that time is spent just sitting in the fridge. There’s no baking, no special mixing techniques and no risk of it turning out badly. It’s also deliciously lemony – a very important trait in my book! 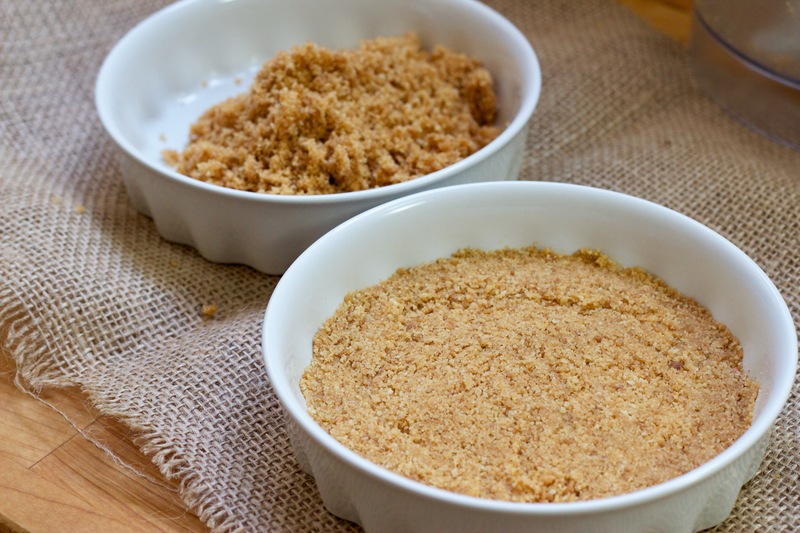 Grease your flan dish(es) with a little butter and then grind the biscuits into crumbs. 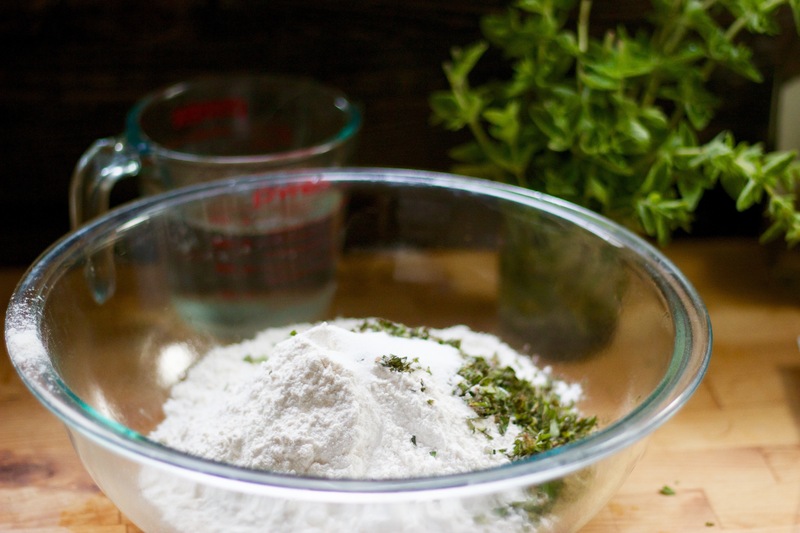 Using a food processor makes this task much easier, and also makes it easier to mix in the butter, but a plastic bag and a rolling pin will do. Melt the butter and mix it thoroughly into the crumbs. Gently smooth the crumb layer into the bottom of your dish, pushing it right into the edges but not pressing down too hard. Stick the base in the fridge for about an hour to chill. 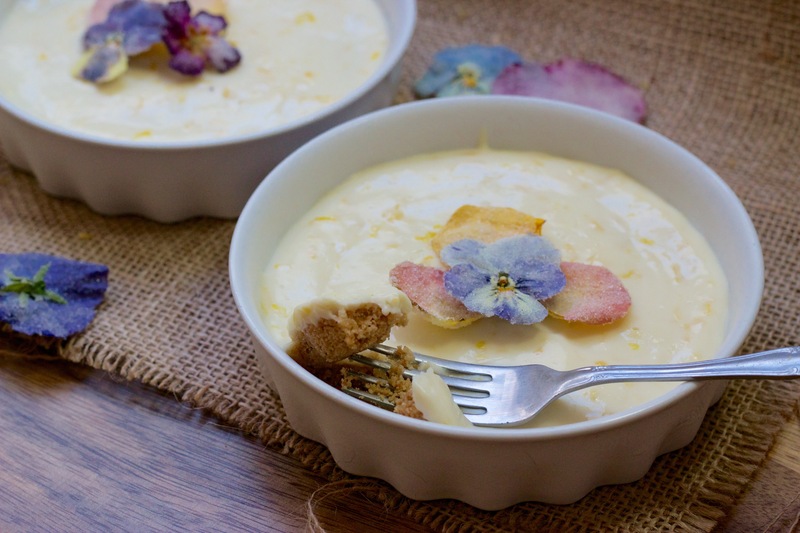 Mix the cream and condensed milk with the zest from both lemons. 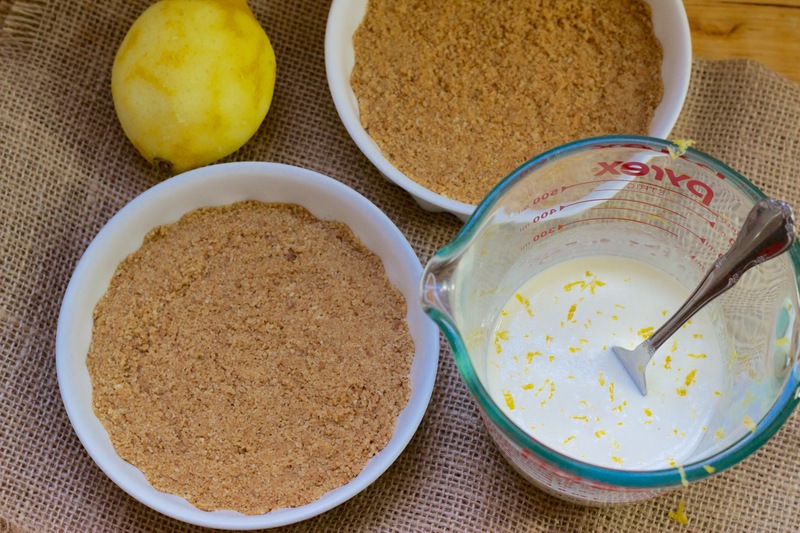 Squeeze out the juice from both lemons and mix it carefully into the cream mixture until it thickens back up. Pour the cream mixture over the base and smooth the surface. Refrigerate for a further 3 hours and then decorate with grated chocolate, lemon rinds, flowers or whatever else you choose. You can keep the tart in the fridge for a day uncovered or a few days if you keep it in an airtight container. I rarely say this but May actually felt like a month which went on for a really long time! Somehow, though, I still didn’t manage to try out that many #monthlyveg recipes. Still, the ones I did try were delicious, and many of them were so quick and easy I’ll definitely be cooking them on a regular basis. I’d also forgotten just how tasty peas are, especially freshly-shelled ones as a snack. I got more hooked on raw peas than I’ve ever been on crisps! Sadly my local supermarket doesn’t seem to have them in-stock anymore. I shouldn’t really have been surprised to discover that most pea-based side dishes also include bacon. The same was true for Brussels Sprouts and I guess bacon is a universal way to make things taste better! 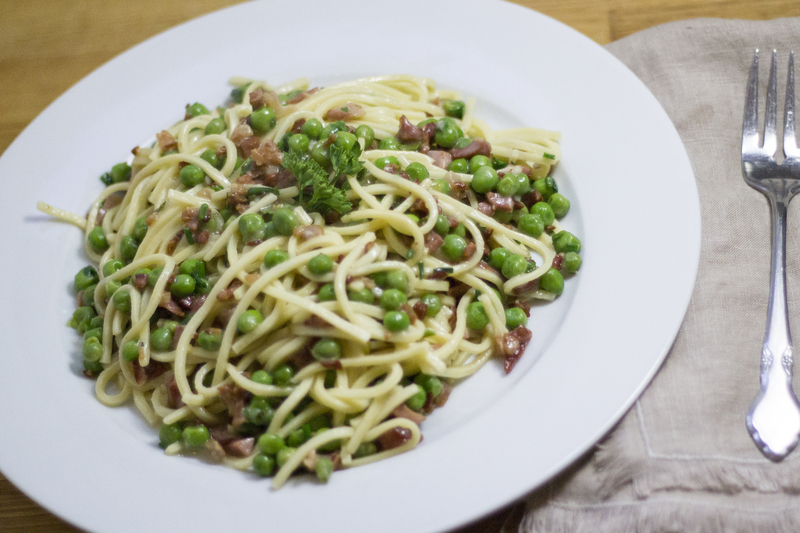 This pasta with peas and pancetta was very delicious, even though I used linguine instead of orecchiette. 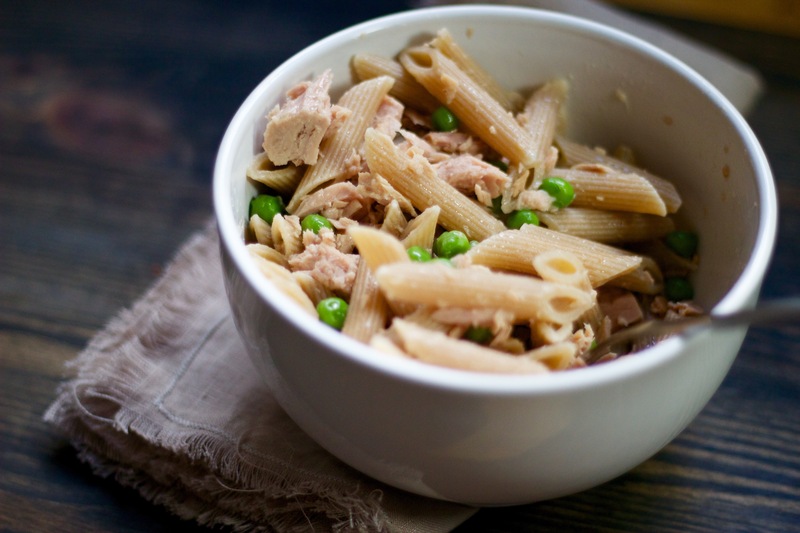 Pasta with tuna and peas is one of my go-to meals when I need something quick and easy, usually when I’m eating alone or if I need an early dinner before yoga. I just add frozen peas to the (wholewheat) pasta a few minutes before it’s finished cooking and then mix in a tin of tuna after I drain it. 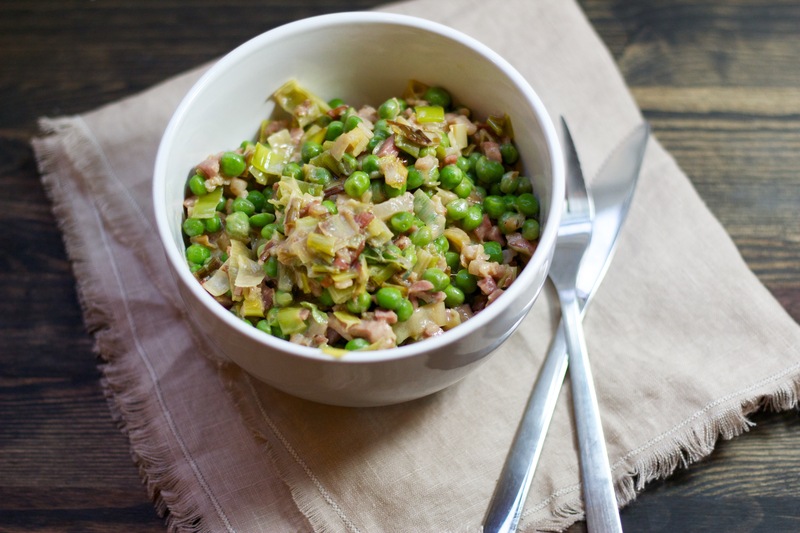 This pea, leek and bacon side was possibly the best discovery of the month. I decided to simplify the recipe so I could just cook it all in one pan with no need to add and remove things throughout the cooking process. I started by chopping the bacon and then cooking it until crispy. Then I added the leeks and threw in everything else once the leeks were cooked. The leeks weren’t crispy but it was still delicious, and so much less hassle to make! I served it with my potato gratin (without the beef). I also have a few honorable mentions this month. My friend suggested I make mutter paneer so I looked up this recipe which sounded good and I was all set to try it. Unfortunately I just kept putting off making it. Partly it was knowing that Indian food generally takes a really long time to prepare and I also wanted to make naan again to eat with it. The other problem is that I don’t like spicy food so I wasn’t quite sure how much to reduce the spice by. 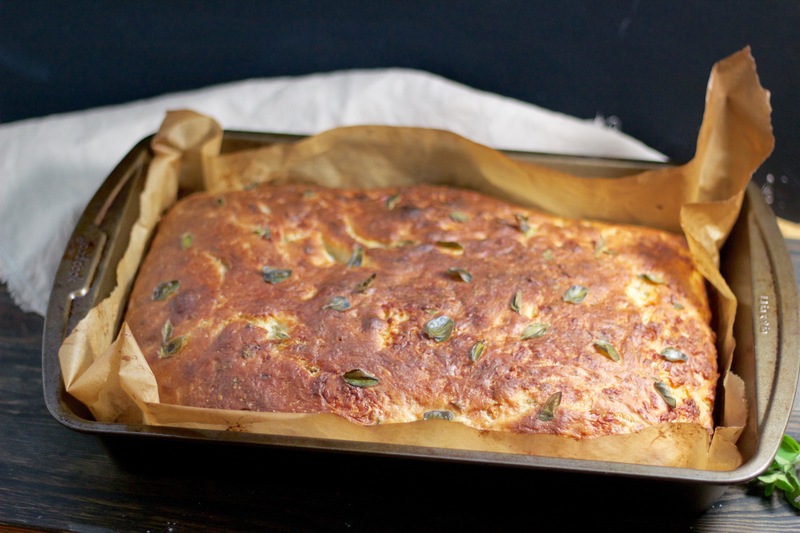 I do still want to try this recipe, sometime when I can devote a whole day to it, but it won’t be in May! 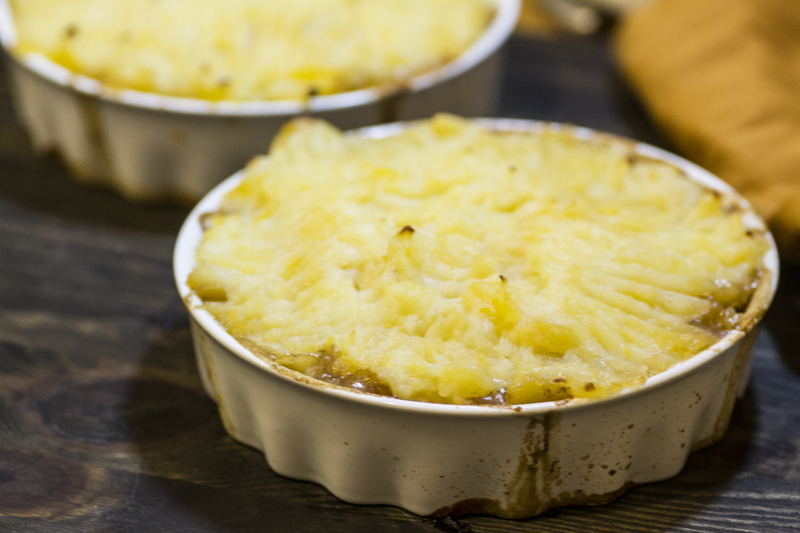 I also have to include my cottage pie recipe, even though I didn’t make it this month, because it’s so tasty and peas definitely improve it! It’s more of a winter food but peas freeze so nicely there’s no reason not to eat them all year round. Now I’ve rediscovered how wonderful peas are, I’ll definitely be cooking with them more, especially since they’re so convenient frozen. 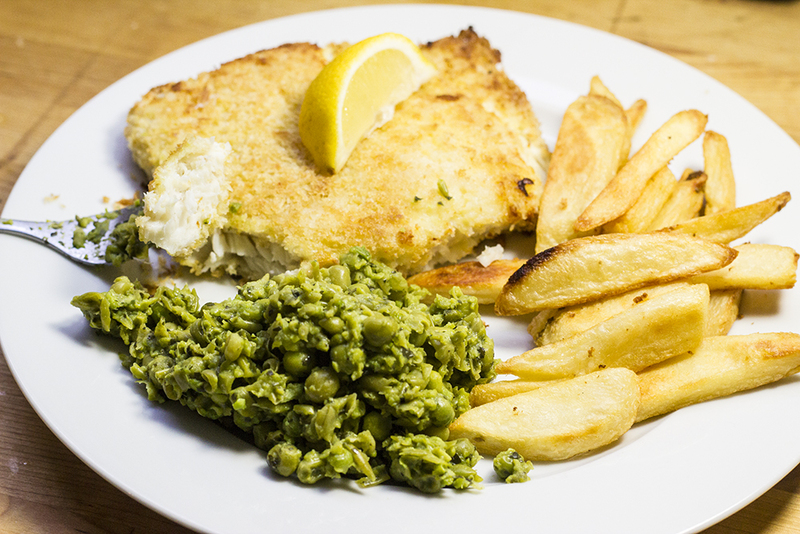 What are your favorite dishes to cook with peas? Corn is pretty inescapable here in America. Government subsidies mean it ends up in practically everything in one form or another, so it ends up with a really bad reputation. But that’s no reason to avoid it. Sure, it may be pretty sugary as vegetables go but it is still a nutritious, fibrous vegetable and quite delicious. Plus, summer wouldn’t be quite the same without eating grilled corn-on-the-cob at least once. I’ve chosen it as this month’s #monthlyveg in the hopes of finding a few more tasty ways to cook it. 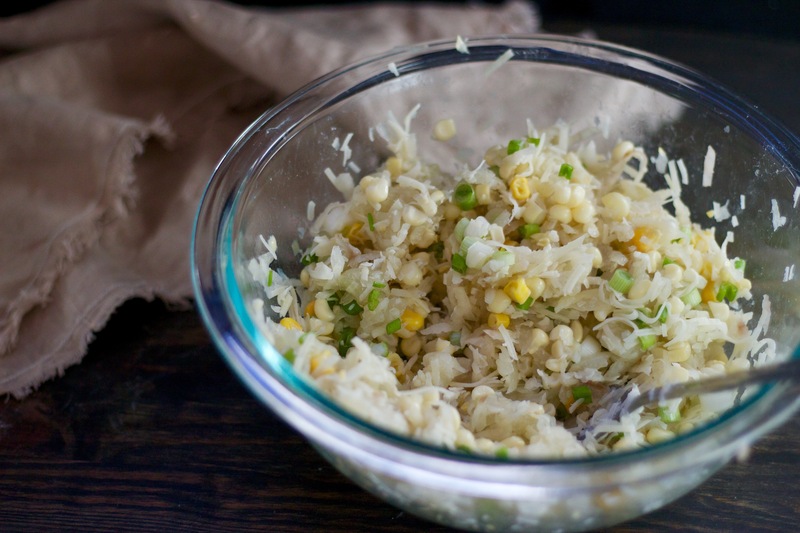 If you have any good corn recipes, please share them!